Cost - 6 turns, Trainable at Barracks, Kingdom under Mountain. Armor - 3/0, can gain all dwarven armor upgrades. Storm hammer - Deals 10 damage to target unit and stuns it for 1 turn (curse-like effect), Range - 3 tiles, cooldown - 4 turns. Cost - 8 turns, trainable at Rune Mansion, Kingdom under Mountain. Armor - 2/0, can gain all dwarven armor upgrades. Healing, Can target only flying allied units. Thunder shield - Adds 15 additional magic retalion damage in melee to target unit, cooldown 2 turns, range - 2 tiles. Can target only allied non-mechanical units. Effect lasts 3 counters (no turns limit though), Counter this way applied even if unit dies from attack. 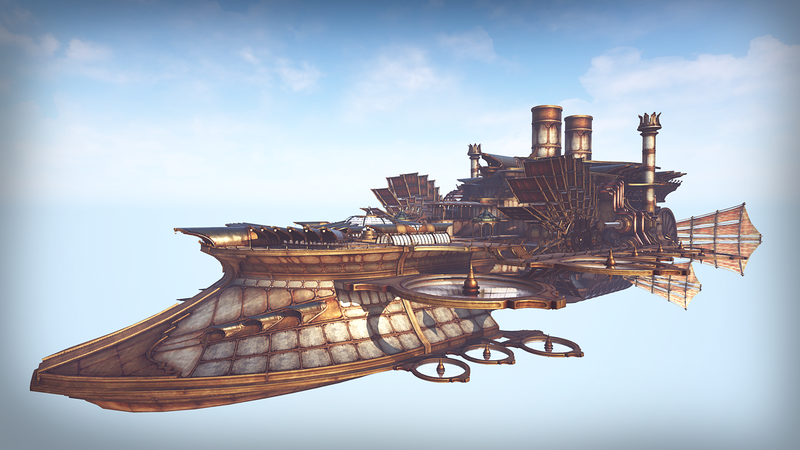 Sky Conqueror - unique flying Mega Building (counts both as building and as flying unit), Size - 2x2. Cost for buying - 15 gems. Hp - 500, can be built only by Dwarven Engeneer. Mend rate - 10, can mend itself. Bonuses: standart bonuses to buildings, 50% bonus to flying units. Fire storm - Fireball with range 4 and no cooldown. deals as usual 10 damage. Cannon shot - Deals 20 melee-type damage to single target at range 8, affected by bonuses, no cooldown. Cannon volley - fireball-like ability, deals 30 damage to all targets, no effect applied, range - 6, cooldown 2 turns. Forcibly sets cooldown of Cannon shot to 2 turns. Last edited by makazuwr32 on Sun Aug 05, 2018 10:25 am, edited 11 times in total. You want a giant flying aircraft carrier? I want a flying fortress that produces gunpowder-based units. You only want one to be made. It is big, 2x2 size and takes one place in Mega buildings. 2 @Patrol3110 - More health = even more cost. But i think that flying building that can produce units at lower-than-usual-cost (-1 to their cost! ), has speed 2 and 40 total damage can't have so much hp. Can 2x1 work, it be sideways. Also I don't know if you can produce only one it if it's made by a worker? You might be able to still build more. Maybe it should be build in the Craftsmen Guild. Nono. I want to be 2x2 Gigantic unit-building. Also it takes 2.5 times more worker actions than Kingdom under mountain while having 4 times less hp. As 2x2 size i meant that it takes 4 tiles on the map. I want to start making images for both of this. it will take a day to finish such an image but I will try !!! Changed name of flying unique mega building, changed stats, added abilities and self mending. Wait does all mini mega have to have 4 actions of can they have different? This one is not a regular mini mega. This is unique mini mega. Dwarves will have normal "mini mega" as well. 1)One griff rider is Already whit humans. 2)Also I don't like adding more flying to dwarfs until all race have something EFFECTIVE Agains flying units and own flying. 3)The Sky conqueror seems too powerful. Combines fly tech and has Aura. The dwarven players already are spamming dwarfs towers what are enough hard to take down for a basic tower. 4)Better add research too thunder storm like elf wizard needs. Last edited by Lynx Shafir on Sun Aug 05, 2018 6:11 pm, edited 1 time in total. People were complaining about it being too weak, also good name change. More flying units you want for Scaledfolk? Do you want something else besides dragons? they have got enough dragon for a while. Lizard and snakeman expansion firs as u said General. Yes that's what I said, I need help creating units. So you want the Scaledfolk to have the best air superiority? Yes unless they were supposed to have superiority somewhere else? Please speak this in scalefolk topic! Well yea, but we were talking about relates to this. Would be bad if dwarves rivaled scalefolk in air. This Unique mega building will take 50 engeneer (7 turn cost worker of dwarves, trainable at craftsmans guild only) actions, can be started only by engeneer, can be built only one per player. And even more its speed can't be increased and human trebushet will deal to it 410 damage of its 500. Extremly vurable to Acid and Acid dragon. Vurable to any artillery unit. For exampe few fodder cannons of orcs can easily destroy it even in one turn. Wagoned artillery will be extremly effective against this unit - before its movement can stay outside of its range of ALL its attacks and in its turn can easily move closer for deployment of 3 artillery units which easily can at least deal extremal damage to Sky Conqueror if not just destroy it. So as i think for such unit it is normal to have no cooldown abilities. 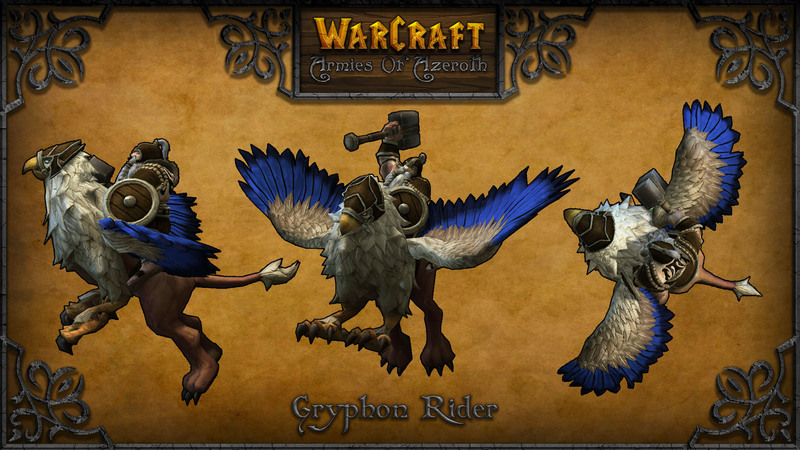 As for Gryphons - naturally dwarves were the one who tamed them and after they teached it humans.